Throughout April you’ll be studying about the Apostasy and the Restoration in your priesthood quorums and Young Women and Sunday School classes. 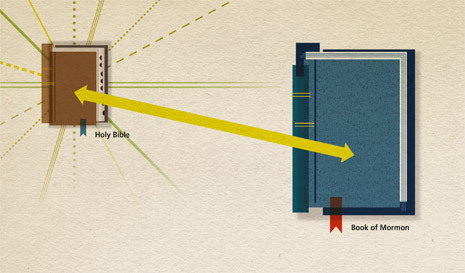 The coming forth of the Book of Mormon was an important part of the Restoration. After reading this article, think about how your life is different because you have the Book of Mormon. You could write down your feelings in your journal. Consider sharing them with others by testifying at home, at church, on social media, or online at lds.org/go/43D. Joseph Smith, in the introduction to the Book of Mormon. Henry B. Eyring, “A Witness,” Ensign, Nov. 2011, 69–70. Elder Tad R. Callister of the Presidency of the Seventy, “The Book of Mormon﻿—a Book from God,” Ensign, Nov. 2011, 75.